Kite Weeks are more than just kiting. During Ben’s weeks we offer the best of everything, all the way from food and photography to coaching and equipment. A step above even a normal week on Namotu, a Kite Week provides the chance to learn from the best in the best location. We bring our own chefs, coaches, photographer, yoga instructor and basically take over the Island with a ton of gear and amazing staff to give you the ultimate experience. Please note these trips sell at least a year in advance and in some cases are pre-sold so if you’d like to join at some stage, get your name on the list or enquire now. There’s no obligation, we’ll just let you know when there’s an opening. Located just off the coast of Viti Levu, Namotu Island Resort is one of the most southern islands in the Mamanuca Island Group. 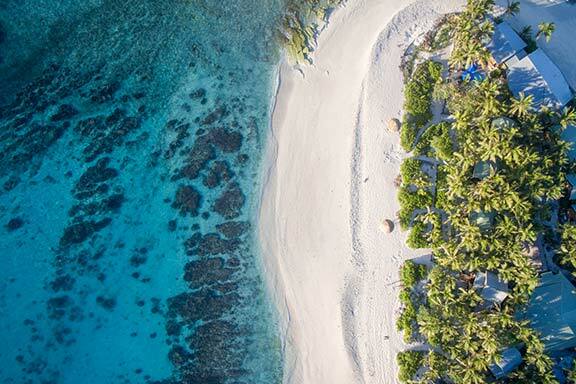 Namotu gets surf and wind year round and is situated a stone’s throw from Fiji’s best surf breaks and in the heart of a wide variety of reefs that create incredible waves. Check Namotu Lefts, Swimming Pools and Wilkes Pass from the beach or travel just 10 minutes to surf Cloudbreak and 5 minutes to Restaurants. There are lefts and rights, fast and hollow or waves for beginners. Surf, SUP, kite, foil or sail, we have it all on our doorstep. Unlike other resorts, Namotu prides itself on unlimited use of surf boats so you can spend as much or as little time in the water as you like. You can even join the Island’s resident fisherman as he catches fish for the restaurant, all included in your stay. If you love the ocean, this is your paradise. The Fiji Islands enjoys a tropical climate, with average temperatures in the winter months (June-August) of about 84 ‘ F or 29’C and in the summer months of about 88’F or 31’C. The Trade Wind season runs from May to September and typically you’ll expect windy afternoons and glassy mornings. Most often about 3 or 4 out of 7 days will be windy allowing you to experience everything else the island including those beautiful Fiji blue days. Namotu is easily accessible from the mainland; it takes just over an hour by bus and boat from the international airport making it a relatively simple trip for many. For Ben, Namotu Island is where it all began and the place he calls his second home. This is where he first learned to kiteboard and realised he could merge his love of surfing and kiting to create kitesurfing as we know it today. Now, fifteen years later, Ben hosts his own kite trips where he can share his favourite place and his skills with guests from around the world. Join Ben on one of his annual Kite Weeks for the ultimate getaway! Our Kite Weeks operate during a historically windy time of year when the Pacific Trade Winds blow 15-20knts in the afternoons. This time of year tends to provide glassy mornings and breezy afternoons HOWEVER, we can’t control the weather. 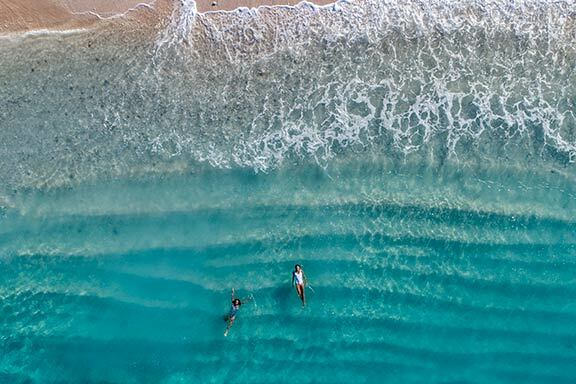 Typically a “good” week of wind is 3 out of 7 days which leaves some perfect days for surfing, SUP’ing, snorkelling or simply enjoying private island paradise! The bottom line is: enjoy all that Namotu and our incredible staff provide and step out of your comfort zone, meet new people and have not only the best kite trip of your life, but the best week of your life! We recommend guests bring two kite sizes to cover the range of wind strengths and conditions – for example, Ben weights 82kg and rides an 8m or 12m. If you’re a keen stand up paddleboarder or surfer, please bring your own equipment as the island only offers a limited range. You really have to experience it to understand it. But the next best thing is to watch some of the footage shot by Stu Gibson over the last few years. Here’s a clip with action from just one week. Each day co-host & yoga instructor, Sasha Hutchinson will guide you through a flowing vinyasa suitable for every body and is available throughout the week for private sessions as desired. She’s also on hand to take care of the non-kiters/surfers and keep them busy with island hops, beginner surf & snorkelling. The Kite Week culinary experience is a true highlight. Pete Evans’ incredibly talented head chefs, Monica and Jacinta Cannataci, bring a passion for paleo inspired dishes and local, seasonal produce. The food is truly exceptional and we’re so excited be able to share some of our favourite healthy food with our guests. All meals including hot & cold breakfast, lunch, sunset snacks (highlight! ), dinner and dessert are included. Yes, it’s taking over. Foiling is big and there’s no better place to learn or fine-tune than Namotu. The best way to begin is behind a jet-ski with an expert instructor on the right foil. We have a range of user-friendly short mast, large wing foils on paddleboards, SUPs and kiteboards. During the week we offer scheduled foil lessons where our instructor will take 2 guests out on the jet-ski at a time to learn the techniques they need to progress to either paddle foiling, kite foiling or SUP foiling. PRICE: This is included for all Kite Week guests to schedule as they like throughout the week. Namotu Kite Weeks attract wave kiters and surfers who are looking for the ultimate watersports holiday. Most intermediate/advanced kite students want to focus on kite positioning, riding toe-side, body technique and positioning, transitioning from strapped to strapless, or twin-tip to surfboard, strapless airs and riding un-hooked. Namotu provides the springboard and Ben gives you the techniques you need to progress. Ben runs 5 days of wave kitesurf coaching focussed on equipment, safety and self-rescue, kite position, body position and technique. Each class runs daily for an hour Monday-Friday and is open to all guests. We bring a ton of equipment including bars, boards, kites, plus harnesses, SUPs, surfboards, foils (surf, SUP & kite). All this is available for Kite Week guests to use but Gold and Platinum guests have top priority and are also able to use brand new BWSURF kite gear including kites, bars and boards. We still recommend everybody (except gold and platinum pass holders) bring their own surfboards and kite gear. Among our coaching team we have kitesurf wave world champions, Ironman athletes, World Stand Up Paddleboard Series competitors, sponsored kiters, professional surfers, and most importantly, each one has been carefully selected because they can actually teach. It’s not always the case that a great athlete will be a great coach but all of our team have both experience in doing and teaching. Over the years we’ve recruited some of the world’s best who not only support you during lessons but are friendly, generous and take the time to get to know you in and out of the water. Whether you’re a total beginner or and advanced wave kiter looking to go further we have the location and the instruction for you. Although we are famous for our kitesurfing instruction, if you’d rather spend time working on your surfing, SUPing or foiling then that’s great, we have the people and the equipment to teach anyone, anything. Get the most out of your time on Namotu by upgrading to a gold or platinum package with coaching. Your coach will teach you everything from kiting to surfing, SUPing and foiling so no matter the weather you will be out enjoying the ocean and learning or perfecting skills. All equipment is included and covers everything from trainer kites, twin-tips, full-size kites, bars, surfboards, soft top surfbords, stand up paddle boards and radio helmets. If you or your partner is interested in learning to kite, surf or SUP, there is no better place than Namotu Island. For even more photos, check out the Facebook gallery here or here. Foil Lessons- join our scheduled sessions. All gear provided including user-friendly foils & jet-ski. Jet ski hire, SCUBA diving, massage & Internet all available but at an additional cost. Shared Surf, Kite, SUP & Foil Coach – progress your skills with one of our incredible all-round expert coaches. 1 coach paired with 2 students (1 : 2). Includes Coaching Gear Pass- use of all coaching equipment including surf, SUP, foil & kite gear plus BB’Talkin bluetooth headsets. Included with either coaching package. $2500USD/person for the week. Dedicated Surf, Kite, SUP & Foil Coach – progress your skills with one of our incredible all-round expert coaches. 1 coach to work with you all week. Whatever you like and whenever you want. Includes Priority Gear Pass- the gear you want, when you want it including latest demo kite gear, foils, performance surfboards & kiteboards, wave SUPs. $5000USD/person for the week. Priority Gear Pass- the gear you want, when you want it including latest demo kite gear, foils, performance surfboards & kiteboards, wave SUPs. $1000USD/person for the week. If you arrive Friday we will pick you up from the Airport and take you to your hotel. Denarau Marina to Namotu aboard the Cobalt (30mins by by fast World Cat boat). ^for use when available. Priority pass holders will take precedence. Yes, it is compulsory. You will need a plan that covers medical emergencies and transport, trip cancellation, travel changes, loss of property and luggage. We recommend a comprehensive cover to ensure you’re protected. May to Sep, but the trade winds can blow anytime and are historically the most consistent in August. April, May & June, but swell year round. No, but a long sleeve wetsuit vest or spring suit can be handy sometimes for wind chill. It can be any strength, but normal trades are about 15-20knots and we mostly ride on 8m – 12m kites. Do I need kitesurfing experience? No experience necessary – but we do need to know in advance what level of lessons you require as these details are important for resource and to maintain the VIP instructor/support boat ratio. To avoid disappointment please ensure you book in advance. We are happy to answer any questions you may have. Can you ride a twin tip? Yes there are plenty of nice flat water spots. Yes, we have introduced a weekly hire. You can rent boards, harnesses, kites & bars. Depending on swell size there is any type of that you want, long and hollow, or short and fun. Can you ask for vegetarian meals when booking? Yes, we can cater to a range of dietary restrictions, just let us know prior to travel. Will harnesses & kitesurfing equipment be available to buy during the week? Yes, you may wish to hire or pre-order – there are limited harnesses and spare gear on the island so please be prepared and bring your own gear or contact us before hand with what you may need. If hiring, you can decide to purchase at the end of your stay – the hire cost will be deducted from the price. 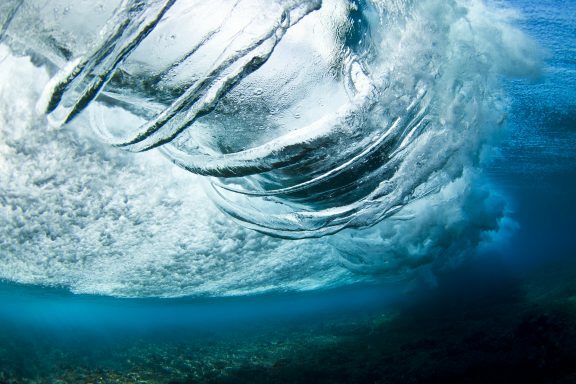 It’s a good idea if you’re learning to kite or want to surf when it’s shallow on the reef. Will there be booties for sale or bring your own? Bring your own. We ask that you bring all your own personal items such as booties, sunscreen, wax, legropes, surfboards, kites & accessories. Is there a shop for basic items? There is a small store on the island but realistically imagine you are in the middle of nowhere, plan for your personal needs, sunscreens, any medications, rash vest etc before you get here. We’ll send you a list of things to pack as a guide. What do I need to bring for SCUBA diving? Please make sure you have your PADI certificate and bring your own gear if you like. There will be equipment available, however if you are particular, we recommend bringing wetsuit, fins & snorkel. What power plugs are used? Will I need an adapter? 240volt with Australian/New Zealand standard outlets. Is tipping expected or allowed? You can leave a cash tip for Fijian staff in the box at checkout. It will be split evenly between the staff. If you’d like to tip your surf guides and coaches, please leave your tip with Sasha or Ben who will distribute evenly among them. The best way to arrive is by plane to Nadi International Airport (NAN). You’ll be picked up by one of Namotu’s private shuttles and from there by boat to tropical paradise – your home for the week. Helicopter and boat charters are available at an additional cost. Spend the Saturday afternoon settling into your bure, surfing, kiting and exploring the Island before the welcome drinks with your hosts at 6pm. While the weather is normally reliable, it does influence the day’s activities. We aim to maximise kiting when it’s windy and surf, SUP, snorkel, kayak, sail and swim when it’s glassy. There’s always something to do but the timetable is flexible to allow maximum enjoyment of the conditions. Checkout is 10am on Saturday. Hop on the final boat ride home where you’ll be bused back to Nadi Airport or a destination of your choosing. We have an amazing team of hosts who are there to teach, support and generally make your stay incredible. HOWEVER, if in the case of emergency, illness or similar, it is a possibility that one or more of the advertised hosts may be unable to attend. In this unlikely event we cannot offer a refund but we will guarantee to replace that staff member with someone equally capable to ensure your week is not affected.